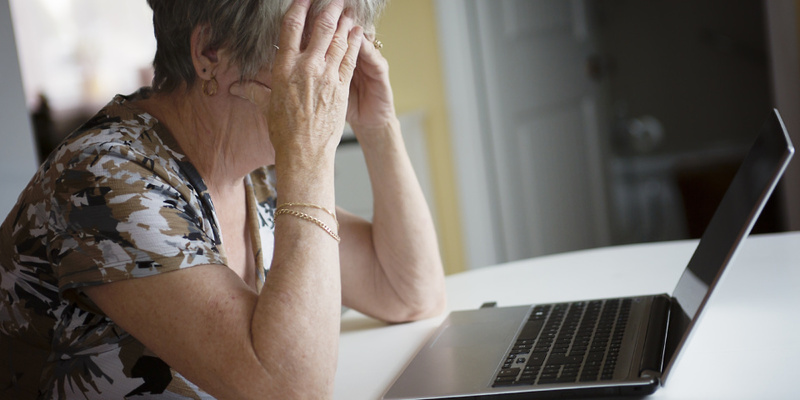 Thousands of people and businesses have been tricked into transferring just over £100m to scammers in the past six months alone, new data shows. But proposals from the Payment Services Regulator (PSR) may offer more consumers a way to get their money back. Which? has been campaigning for over a year to protect consumers from bank transfer scams. The PSR has now unveiled new measures to reimburse victims and prevent fraud, as well as data that for the first time reveals the full scope of the problem. Bank transfer fraud happens when a person is tricked into transferring money into a scammer’s account – either buying something that don’t exist, or being misled about the recipient’s identity. The PSR has today released figures that reveal the scale of the problem for the first time. In the past six months alone, over £100m was transferred to scammers by people in the UK, according to data from UK Finance. Of this, around £25.2 million was recovered – meaning just £1 in every £4 lost to this type of fraud has been paid back to victims. In the six month period, around 19,370 cases were recorded. On average, individuals lost around £3,027, while businesses lost £21,477. Unlike credit or debit card frauds, people who are tricked by a bank transfer scam currently have no legal right to get the money back from their bank. If the money cannot be recovered from the recipient’s account – and often, funds are immediately withdrawn or sent offshore – then you may have little recourse to get your money back. Which? launched a super-complaint to the PSR on 23 September 2016, calling for the regulator to investigate whether banks were doing enough to protect consumers from bank transfer scams. The PSR today released its full report, and launched a consultation into a contingent reimbursement scheme. Under the proposal, victims would be entitled to a refund from their bank in certain circumstances. Stakeholders, including consumer groups and banks, have been invited to respond within the next three months. If the scheme were implemented, the PSR expected it would be in place by September 2018. The PSR also provided an update on the banking industry’s progress towards better fraud prevention and protection for customers. UK Finance has published a set of best practice standards, which its members have agreed to fully implement by the end of Q3 2018. From 2018, banks will improve their information sharing, and financial crime data sharing. The Joint Fraud Taskforce, of which UK Finance is a part, is also developing a framework to allow stolen funds to be tracked across payment systems, frozen and then returned to victims. The PSR also noted that the industry had made positive steps towards fraud prevention, including towards the development of a ‘confirmation of payee’ tool. This would raise an alert if the name entered as the payee in a transaction didn’t match the account details. The tool is expected to start rolling out during 2018. Since filing its super-complaint, Which? has called on the PSR and the banking industry to show progress on tackling transfer fraud. Which? welcomed the PSR’s latest proposals, but called for the banking industry to move quickly to protect consumers. Which? CEO Peter Vicary-Smith said: ‘A year on from our super-complaint, it’s good to see the regulator coming down on the side of consumers. If this stops the huge amounts of money lost to bank transfer scams, it’ll be a significant win.